Looking for the nail polish shades to match with your transitional outfits? Let me introduce you a brand new collection. 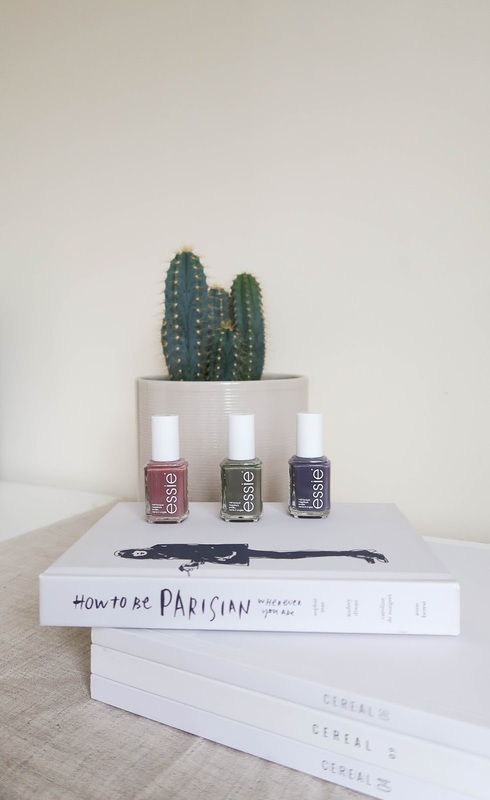 Essie launched an amazing collection called “Wild Nudes” which has a range of timeless colours that you will want to use non-stop. Add your favourite top coat, my favourite happens to be a 5£ high street nail polish, and you will have the perfect manicure during all week. À procura da cores novas de verniz para combinarem com os vossos looks transicionais? A Essie lançou uma colecção linda chamada de “Wild Nudes” com cores intemporais que vão querer usar sem parar. Combinem com o vosso top coat favorito, no meu caso é um que podem encontrar no supermercado, e vão ter uma manicure perfeita durante toda a semana. You must be <a href="https://ararapintada.com/wp-login.php?redirect_to=https%3A%2F%2Fararapintada.com%2F2017%2F10%2Fessie-wild-nudes%2F">logged in</a> to post a comment.